Right now, only two spots remain, both 9:30am spots for the Sterling VA area April 19 and 20. Everything else is gone. 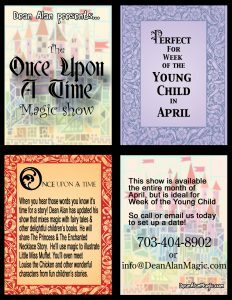 The show I’ll be offering is The Once Upon A Time Magic Show. 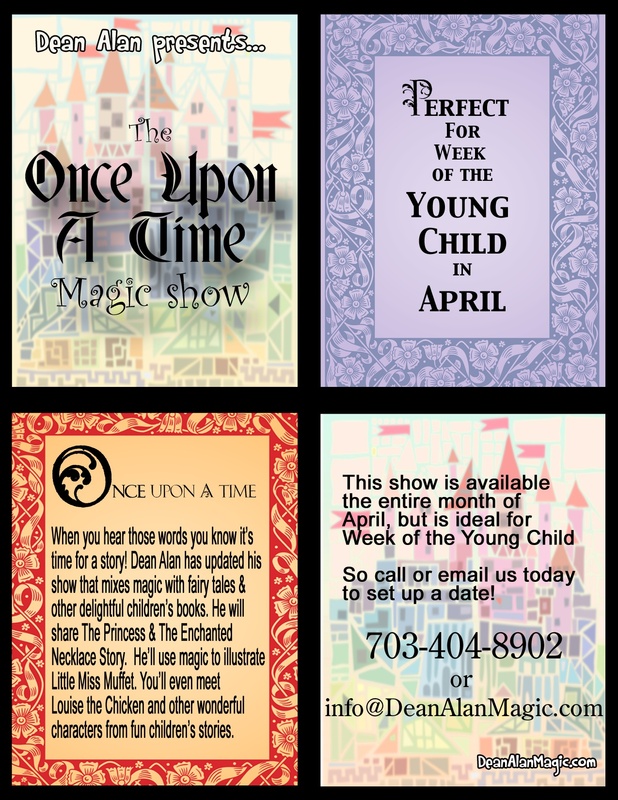 This is a reconfigured version of The FairyTale Magic Show. This new program has material from the older show, but also brand new stories and routines. It’s going to be a fun week! Jump on board and snag one of those spots if you can!